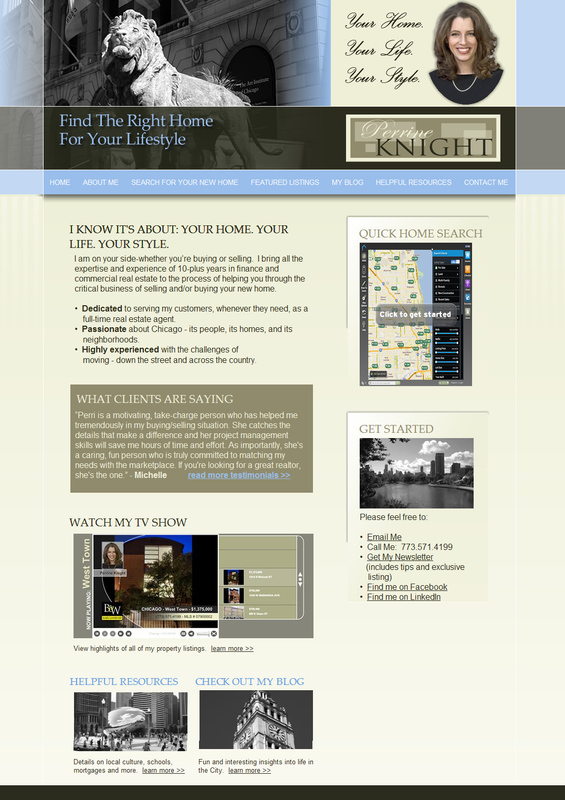 If you live in the Chicagoland area and are looking to buy, sell or rent a home, check out one of our newest clients, Perrine Knight. We just launched a new website for her, we you can search for homes and find tips and information on the area and the buying-and-selling process. Plus, you can follow Perrine on the blog and Facebook page she set up on her own, for personal insights on great places and events in Chicago.